conservatory without the need for all new frames? Looking for a Conservatory Roof Upgrade ? 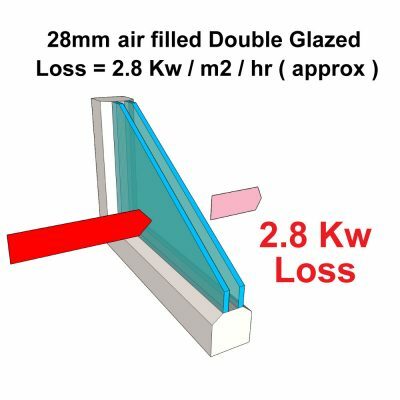 When double glazing was in its infancy, although seen as a huge step forward in energy efficiency over single glazing, it still had a long way to go. Huge advances have been made in the manufacture of the glass sealed units in recent years, one such example are our new ‘Heat-Guard Plus’ sealed units. If your existing windows or conservatory came with standard, air filled sealed units, in most instances we are able to change them (subject to us carry out a survey), upgrading them to our Heat-Guard Plus units. By doing this you will experience a marked improvement in the comfort of your home as well as a reduction in fuel bills for years to come. compared with the older, standard double glazed, sealed units fitted to so many properties. 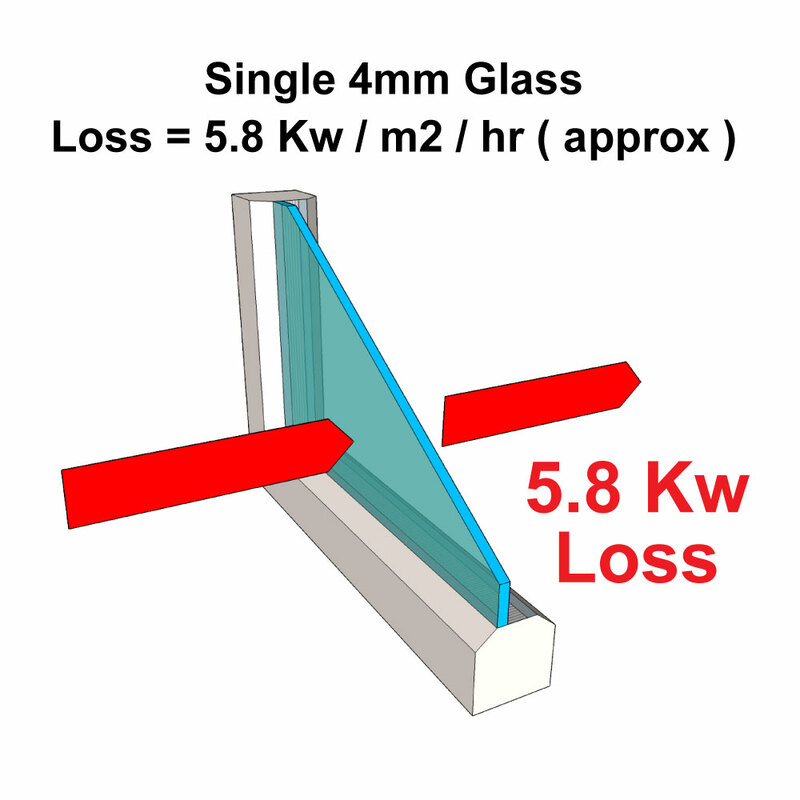 A single 4mm thick pane of glass has a heat loss figure of approx. 5.8Kw/M2/hour. Put simply every square meter of glass found in a single glazed window, will allow approx. 5.8Kw of energy, per hour, to pass through it. A 28mm air filled, sealed unit, manufactured using standard annealed glass, with an aluminium spacer bar has a heat loss figure of approx. 2.8Kw/M2/hr. As you can see this is a great improvement over single glazing. 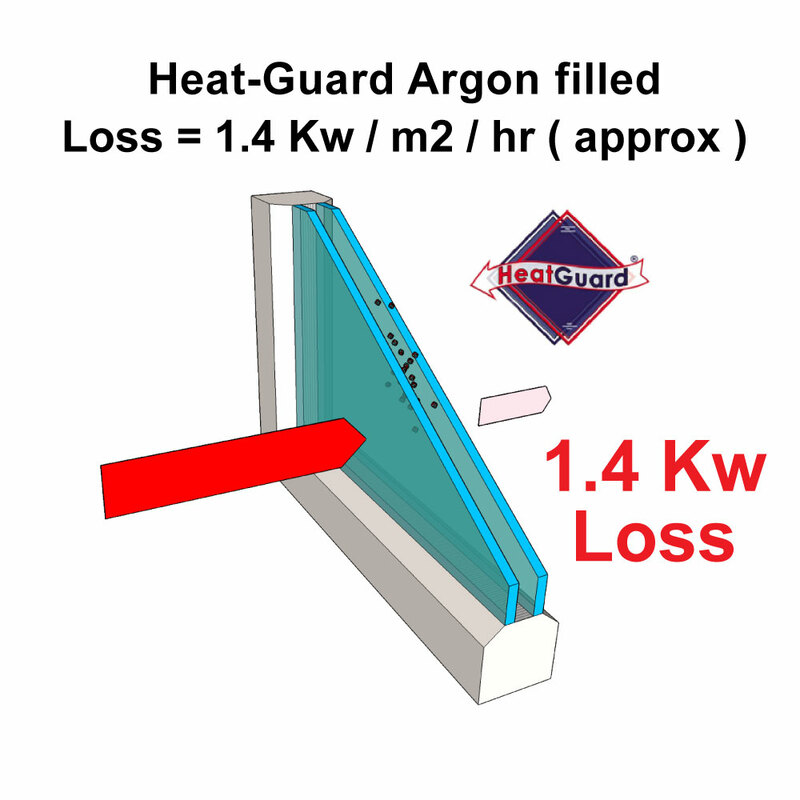 However using our Heat-Guard Plus, argon filled, sealed units, manufactured using a soft coat ‘low e’ glass, with ‘warm edge technology’ the heat loss figure drops to just 1.4Kw/M2/hr. Twice as efficient as standard double glazing!! So if your existing windows or conservatory are fundamentally sound you may want to consider upgrading the glass as a way of improving their efficiency? If you want more information please let us know. We feel there are three major upgrades we are able to offer people looking to improve an existing conservatory. A lot depends on the design and build of the conservatory as to which solutions are available. We carry out a full survey prior to suggesting a solution and then let you know which of these options we feel would best suit your needs. Where it can be demonstrated that an existing conservatory roof is strong enough to take the increased weight, we can supply and fit new toughened, low energy, sealed units in the old roof. The units we fit in our conservatory roofs differ slightly from those we fit in our doors and windows. They are of course an energy efficient unit but also feature Pilkington’s ‘Activ, Blue’ glass. This glass is designed to reject up to 65% of heat through direct sunlight from entering the conservatory. This makes it a lot easier to control the temperature inside the room on warm summer days. These units also feature a ‘self-cleaning’ finish to the outside surface. We are genuinely excited about this new product. Have you ever wished your existing conservatory had a solid, tiled roof? Then this could be the answer. These new lightweight roofs are specifically designed to replace older less efficient conservatory roofs. They come with a number of external tile colours and textures meaning they will look good on any property. These all new roofs are designed to take highly efficient insulation slabs and are then plastered internally to give amazing U values. These roofs will need to be installed with the local authority building controls approval. We will handle this for you and provide their confirmation of conformity once the job is completed. 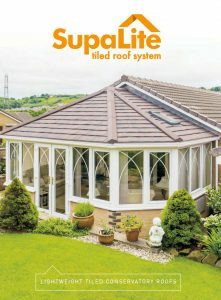 Click here to download Supalite-Retail-Brochure. The third option is a little more involved. Subject to survey and approval from the local authority we are able to build a traditional tiled roof onto an existing conservatory. We would first need to confirm the existing footings are adequate to take the increased weight and then have building control inspect and approve them. We then design a steel portal frame structure which attaches directly to the footings. This, in turn, supports the entire weight of the new roof (as the frames would not be able to take anything like the weight increase involved). When we take on this kind of work we have a structural engineer prepare a report and design and then build to this information. The job itself will go through building control so you can rest assured it meets all current requirements.